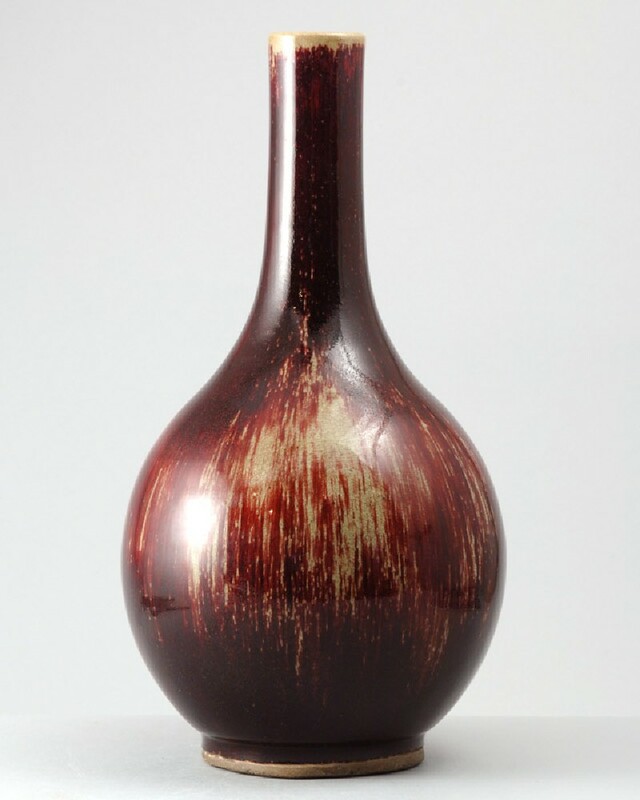 The vase has an ovoid body and a tall slender cylindrical neck, and rests on a wide, heavy foot with low footring. The outside is covered with a dark red glaze with blue highlights which adheres in thin vertical streaks over a straw-coloured glaze, leaving the pale glaze exposed at the rim and showing through on one side. The glaze probably adhered to the firing support and has been cut from the foot after firing, leaving the lowest part of the foot free. The footring and base are unglazed.